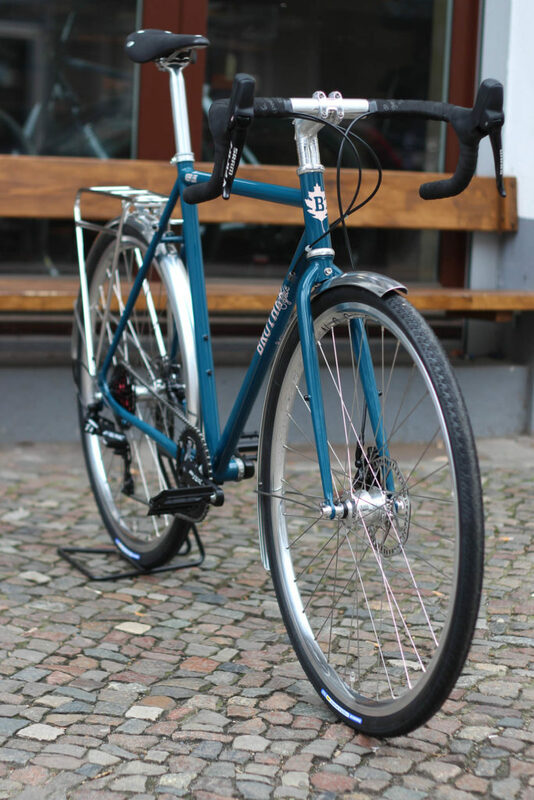 Another custom painted Brother Cycles Kepler we made a while ago for Gunnar. 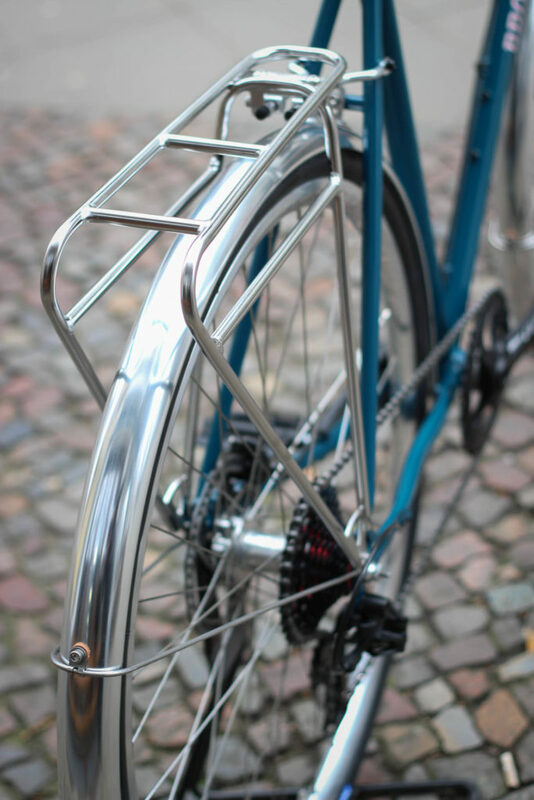 All classy with silver parts. 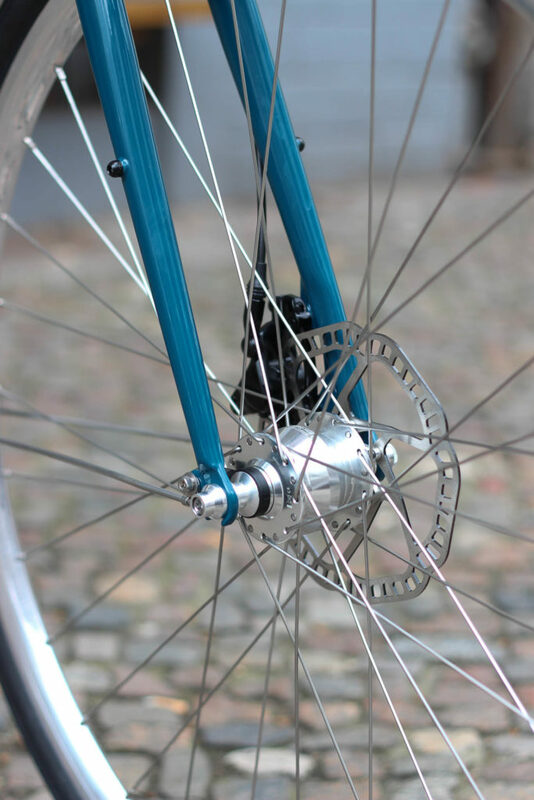 Wheels made with Hope Tech Pro 4 hub rear and Shutter dynamo hub front laced to shiny H+SON Archetype rims. 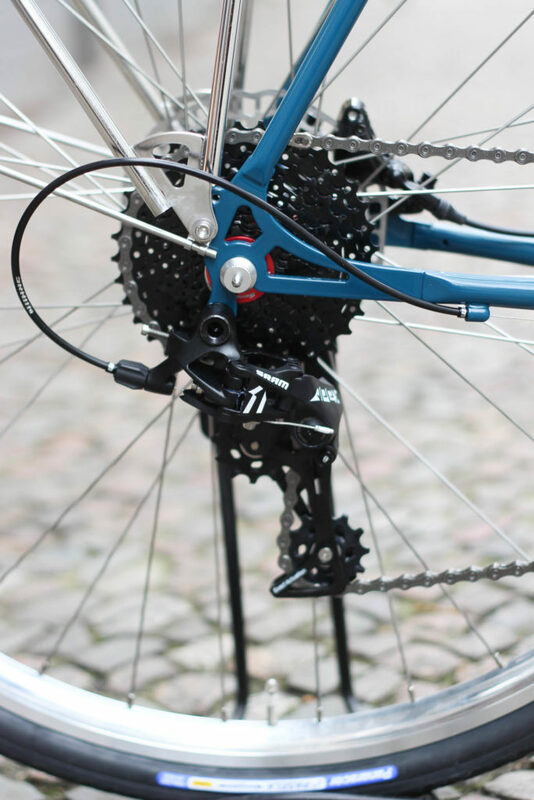 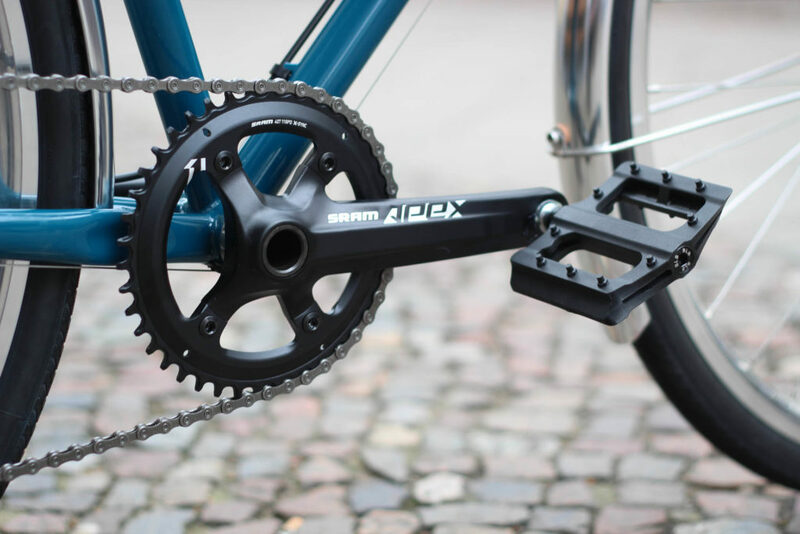 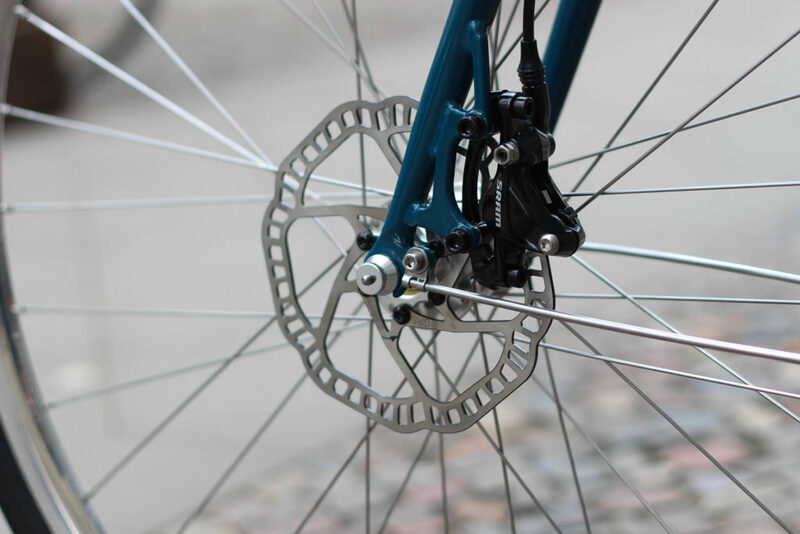 The drivetrain is a SRAM Apex group with hydraulic brakes. 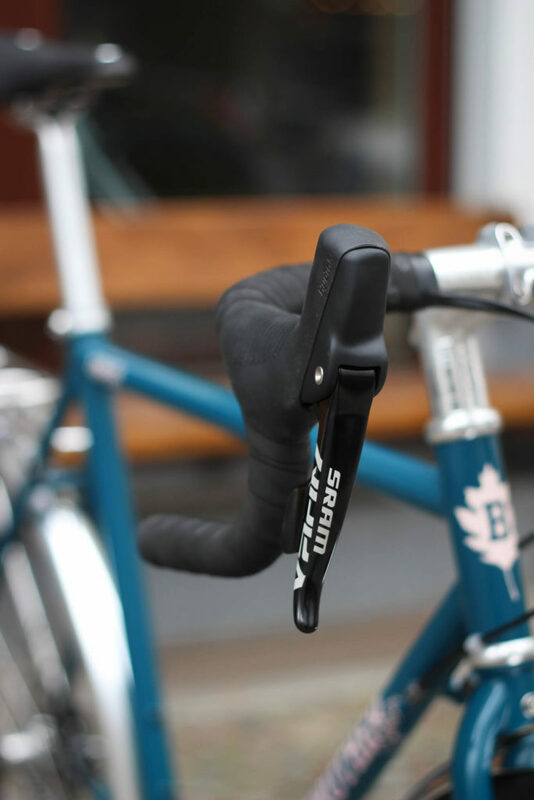 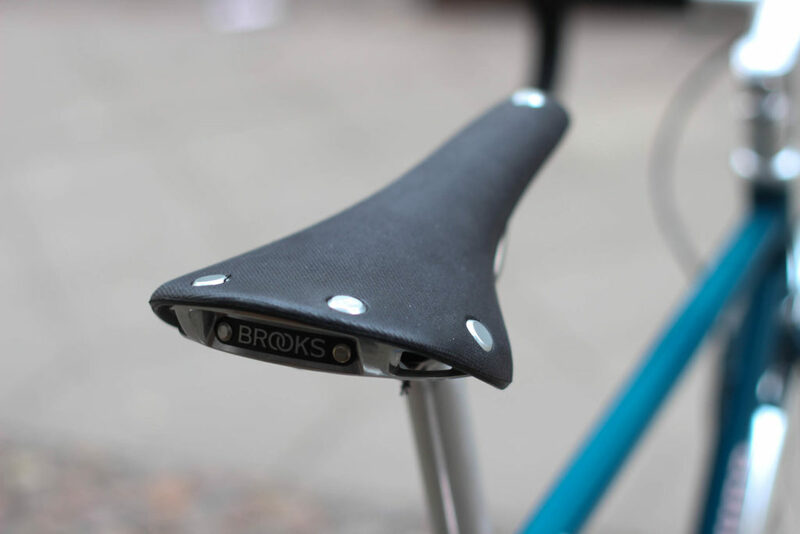 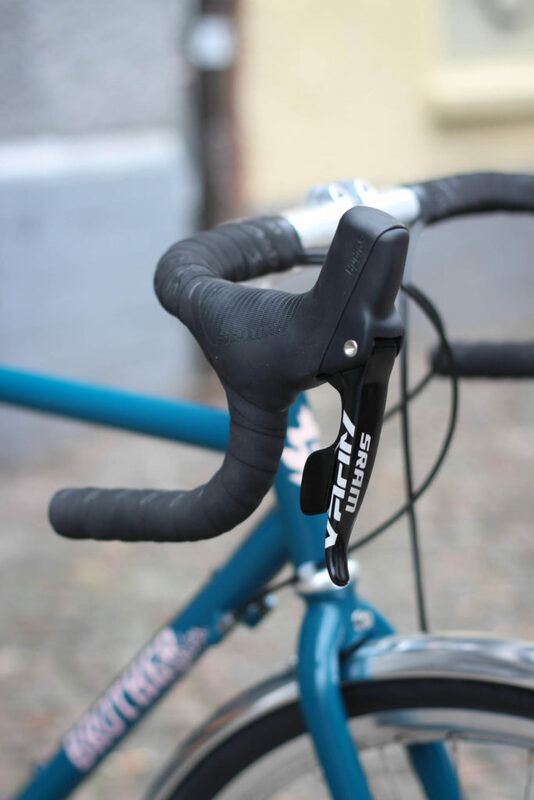 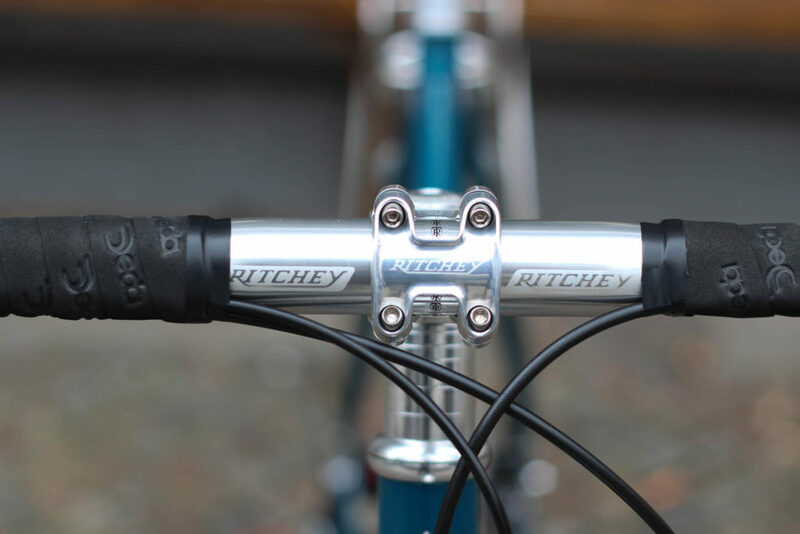 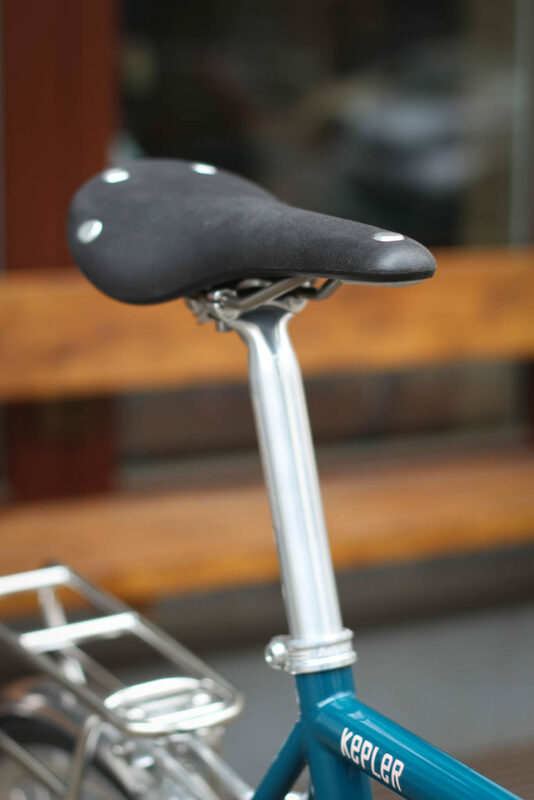 Ritchey classic C220 stem and matching seatpot with Brooks Cambium saddle work very well with the classy look. 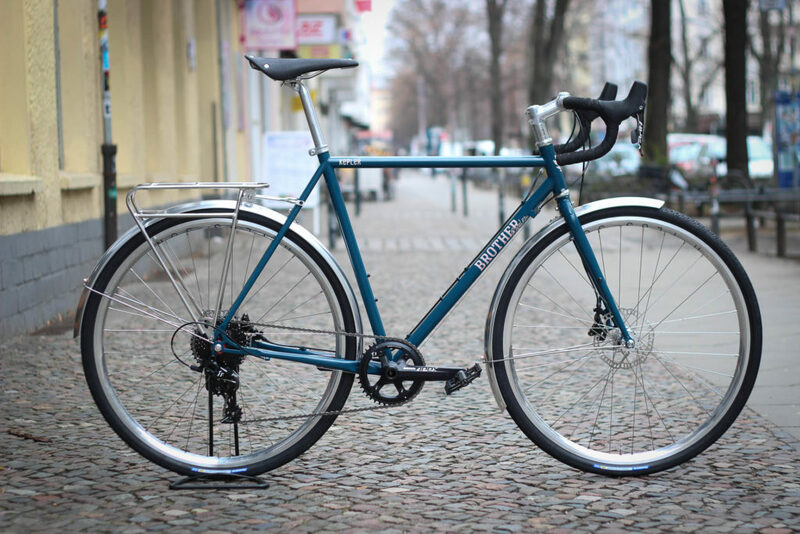 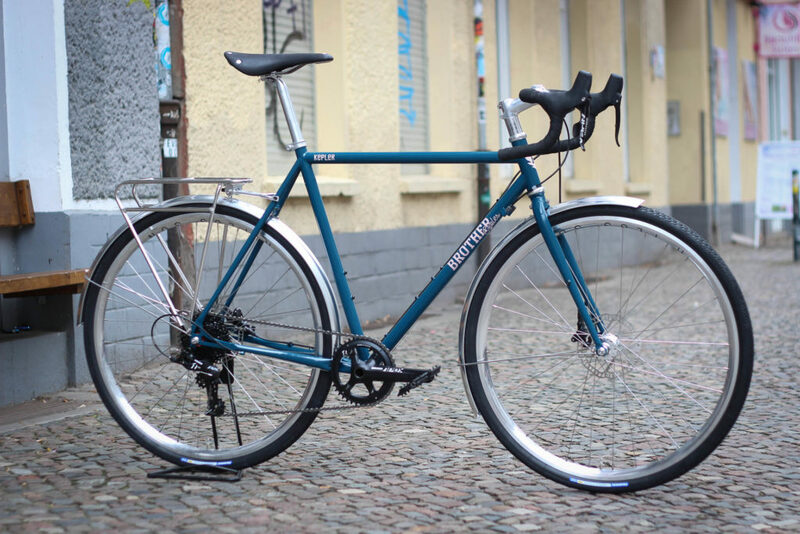 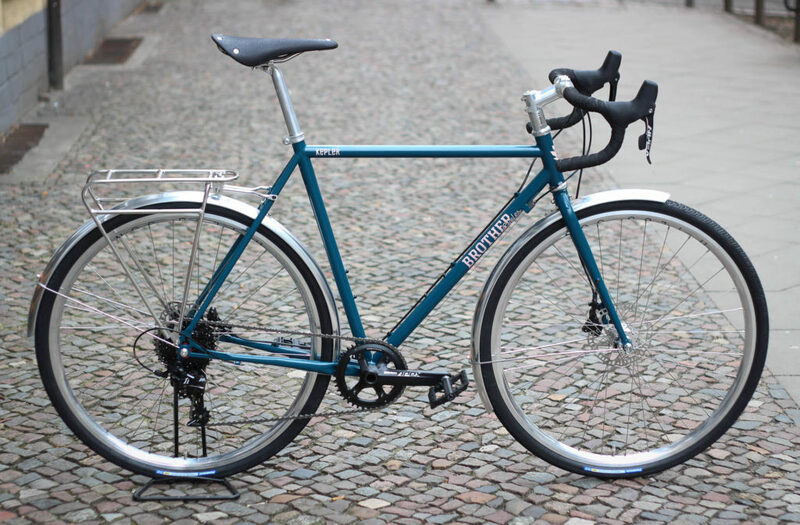 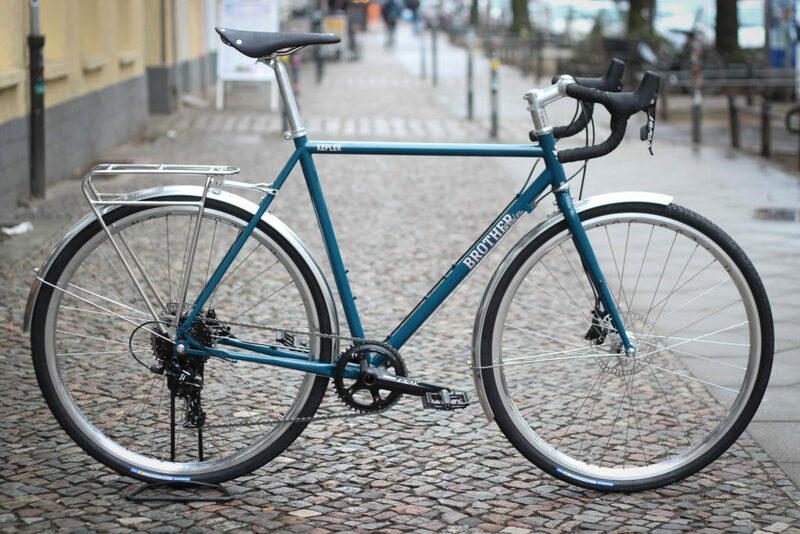 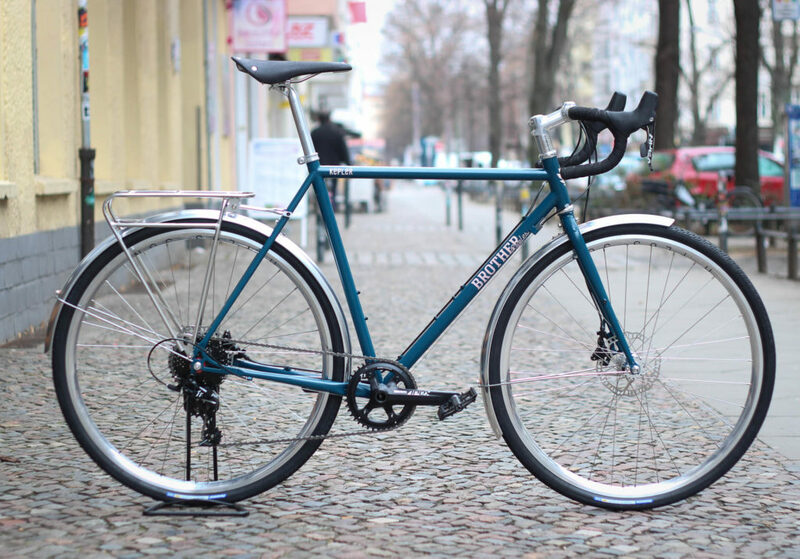 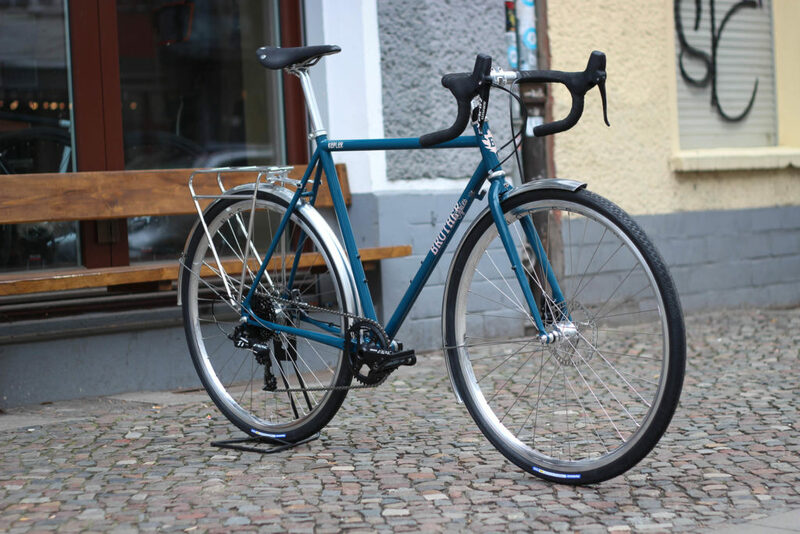 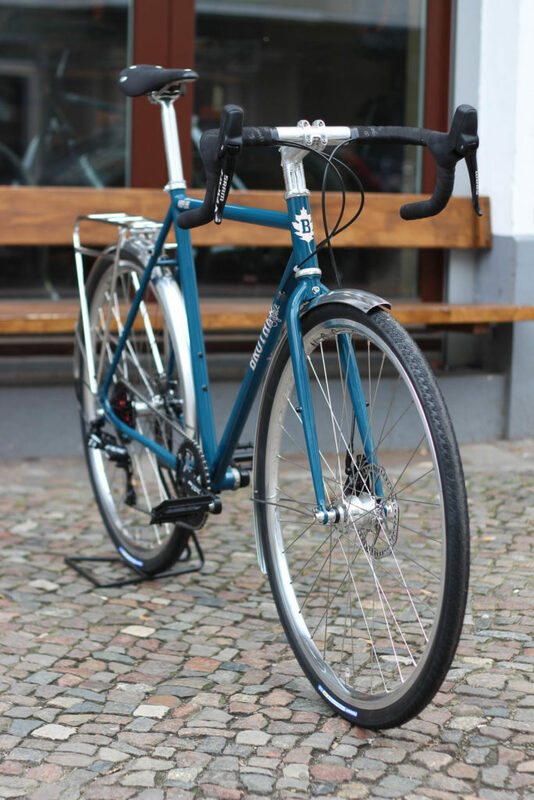 Pelago fenders and stainless rear rack finish the build perfectly while Panaracer Pasela tyres keep the bike rolling wherever Gunnar wants.